Agriculture is defined by Merriam-Webster’s Dictionary as “the science, art, or practice of cultivating the soil, producing crops, and raising livestock and in varying degrees the preparation and marketing of the resulting products: Farming.” While the above definition of agriculture is true, contemporary agriculture is also inclusive of other practices and systems that more broadly define what the new agricultural industries represent. …encompass the production of agricultural commodities, including food, fiber, wood products, horticultural crops, and other plant and animals products. The terms also include the financing, processing, marketing, and distribution of agricultural products; farm production supply and service industries; health, nutrition, and food consumption; the use and conservation of land and water resources; development and maintenance of recreational resources; and related economic, sociological, political, environmental, and cultural characteristics of the food and fiber system. There is a vast array of systems, industries, and people that agriculture touches on a daily basis. Agriculture will save the World ! Satyajit Chemicals Pvt. Ltd. a family owned business was established in 1979 under the visionary Mr. Rajesh Diwanji to fulfil the needs of quality conscious agrochemical consumers with prime focus on product innovation and cost effective applications. Leaving Sun, Air & Fire over which humans hardly have any say; the Earth and Water have been to a large extent modified to suit its applications. Earth, meaning agriculture is the base industry on which India is dependent even in this 21st Century. Water, the most important element occupies almost 70% of Earth and similarly almost 70% of all companies globally deal with water daily for their industrial purpose. and thereby Winning against competition!!! 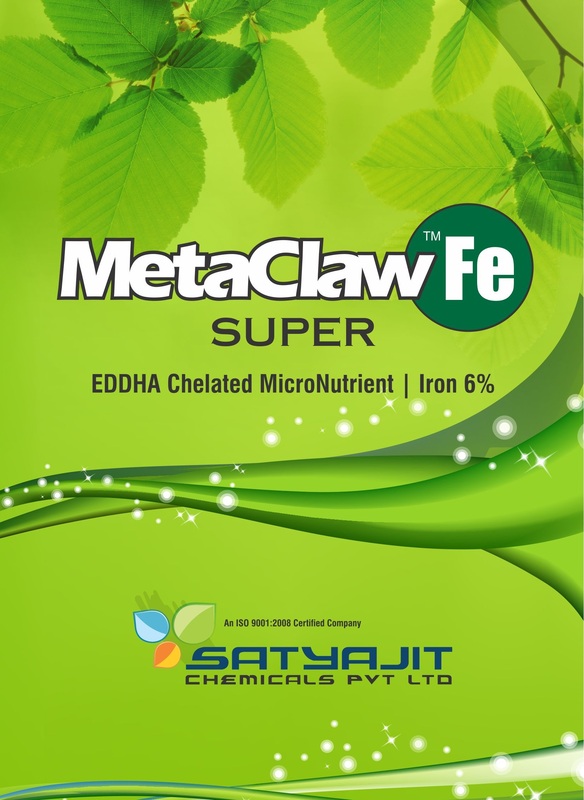 Today, the company is the largest manufacturer-exporter in many of its product lines for the agriculture and speciality water treatment chemicals and the only company in India to manufacture and sell the widest range of "Chelating Agents - synthetic, natural & organic"
To be a leader in Chelate chemistry providing solutions Globally...! Copyright 2014 & All Rights Reserved by Satyajit Chemicals Pvt Ltd. Designed & Developed by Emaginationz Technologies.